It was vindication for President Donald Trump and conservatives across the country when Breitbart released an explosive video revealing traumatized Google executives struggling to withhold their anguish after Hillary Clinton’s stunning loss in the 2016 presidential election. The video features Google co-founder Sergey Brin, CEO Sundar Pichai, and numerous other high-ranking “Googlers” commenting on the election’s supposedly tragic outcome. Overall, it’s quite the nauseating performance you’d come to expect from Silicon Valley overlords. The hour-long melodrama is dotted with the worst kind of emotional tripe; billionaires drying their tears, encouraging robotic employees to hug each other, grandstanding monologues, and virtue signaling that would leave many Democrat politicos envious. It’s almost as if the executives were cautioned that the tape may eventually find its way to the broader public, hence the whole spectacle should present our Internet handlers as “sensitive” and “passionate” altruists, rather than some sort of bitter sect, grieving the outcome of a fair election. All speakers took turns sharing their traumatic experience surrounding Clinton’s undoing, with no concern whatsoever that there might have been employees in the audience who were, at the very least, relieved that Clinton lost. In their defense, it’s unlikely there were any conservatives or (God-forbid) Trump voters among the audience or those streaming elsewhere since Google is well-known for its cult-like work environment that cultivates an impressive political monoculture. I doubt any form of dissidence is welcome, ideological the least. So put on your helicopter hats and let me briefly dissect some of the more disturbing parts from the internal meeting. What “values” were Google executives precisely talking about, and how did they plan on “advancing” them? A poor defense comes from Variety senior editor Ted Johnson, who argues that Porat doesn’t explicitly state that Google will “fight to protect” those values by doing something such as tampering with search results. Were you surprised to hear the reactions to Trump's victory on the leaked Google video? I’m not sure what the author’s exact point here was, but I understood it in the sense that corporations are more than willing to take action under unfavorable political circumstances — in which case, why would Google be any exception? The writer’s choice in comparing Google with Campbell is a poor example designed to persuade readers. Comparing a company that makes canned soup with a company that has a worldwide monopoly over the internet is just plainly stupid. Brin adds on another layer, likening Trump voters to “extremists” motivated by “boredom” rather than authentic concerns. Mind you these lofty proclamations came only days after the November election, which is hardly enough time to examine the average Trump voter. Heck, even two years after the election, most self-proclaimed experts still struggle trying to identify the prevailing motivations behind the movement that rejected Clinton. Also, am I the only one who thinks that tech nerds aren’t exactly qualified to expound upon the complexities of voting behavior? Surely there was a service outage somewhere that should have have been more important to the interests of Google. Pinchai responded by promising that Google will ensure its “educational products” reach “segments of the population [they] are not [currently] fully reaching.” Pichai also reassured another employee concerned about “fake news” and “misinformation” by stating that “investments in machine learning and AI” are a “big opportunity” to fix the problem. Despite what others out there may have you believe, it’s evident from the tape that Google executives viewed Trump’s election victory as a “problem” that interfered with their “values” and that this problem should be addressed, if not outright resolved. Let me remind you that Google’s enigmatic relationship with politics is certainly not a novel discovery. Eric Schmidt, the CEO of Alphabet Inc, Google’s parent company, was a prominent donor to both Obama campaigns, and was even pictured wearing a staff badge during Clinton’s victory rehearsal at the Javits Center in New York City the night before the 2016 presidential election. These bothersome details clearly prove that Google has a rather partisan track record with government entities, not excluding foreign nations. The now defunct “Don’t be Evil” motto, removed by Google in 2015, ironically coincided with the company’s controversial choice in developing a censored version of its search engine at the request of the Chinese government. The bombshell discovery came as a surprise to 88,000 Google employees, most of whom were uninformed of Google’s confidential dealings with the authoritarian regime. According to reports, “company managers responded by swiftly trying to shut down employees’ access to any documents that contained information about the China censorship project.” Just recently a senior Google scientist resigned to protest the company’s “forfeiture of values” surrounding the China scandal. Needless to say, it appears that Google’s “values,” whatever they may be, somewhat absurdly do not include access to free and unrestricted internet. Horrible corporate transparency aside, the fact that Google so flagrantly and without hesitation was willing to censor search results for over 1 billion Chinese users clearly shows that the company’s “values” are nothing more than fiction. Google, in a traditional fashion, denied the filtering of autocomplete results. However, the company never made it clear how these results can so strikingly differ on different platforms. Shortly following the 2016 election and the above revelations, several employees began fanning the flames of Google’s somewhat sinister internal conduct. James Damore, a Google engineer, was abruptly fired after an internal memo criticizing Google’s lack of viewpoint diversity went viral. Titled “Google’s Ideological Echo Chamber,” Damore outlined the rampant PC-culture and questionable diversity policies that Google used to justify not hiring conservative white and Asian men. Damore was promptly dismissed for “violating Google’s code of conduct” and is currently involved in a class action lawsuit against the company. 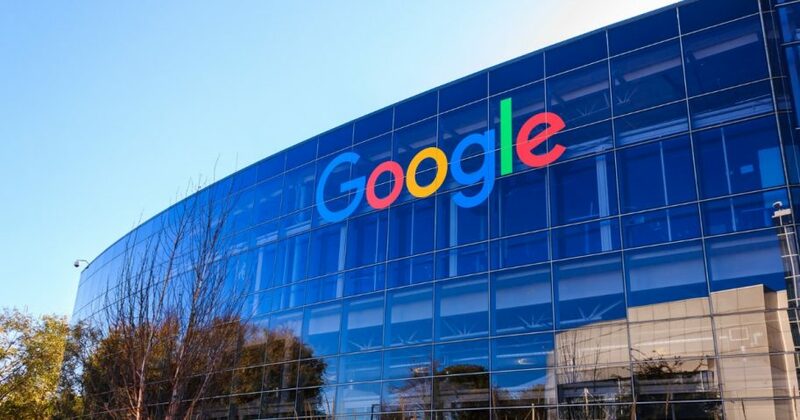 This past May, Google was at the epicenter of a scandal involving the California Republican Party, after it surfaced that Google’s search engine results listed “Nazism” as one of the party’s primary ideologies. Google responded by saying that the Wikipedia page for the California Republican Party was “vandalized” so that Nazism was listed as one of its core ideologies. It’s remarkable how the Democratic Party is never subject to such vandalism, even though we are repeatedly being told that far-right trolls from all over the globe are trying, and supposedly succeeding, at spreading misinformation. The overall trajectory has been quite unbelievable. From creepy and cultish footage after the election, shady lobbying, and cooperating with dictatorships — to meddling with search algorithms and firing dissenting employees — Google’s dark and unsettling conduct has been thoroughly exposed over the past months. It’s even more amusing to see how many journalists have scrambled to defend these unacceptable practices, mostly by paraphrasing Google’s own press releases, in hope that the average observer will just move on to something more interesting. It’s rather disheartening to see how certain entities fail to see or purposefully deny Google’s growing abuse of power within the internet environment. We’ve demonized so many corporations over benign partisanship, yet refuse to acknowledge, let alone probe into Google’s malicious undertones. The unmasking of Google’s malpractices is long overdue and will hopefully speed up the demise of this potentially dangerous tech empire. Edward Cindric is a Croatian-American writer and politics aficionado. His work has appeared on The Federalist and he currently maintains a blog on Medium.com/@cindricedward.